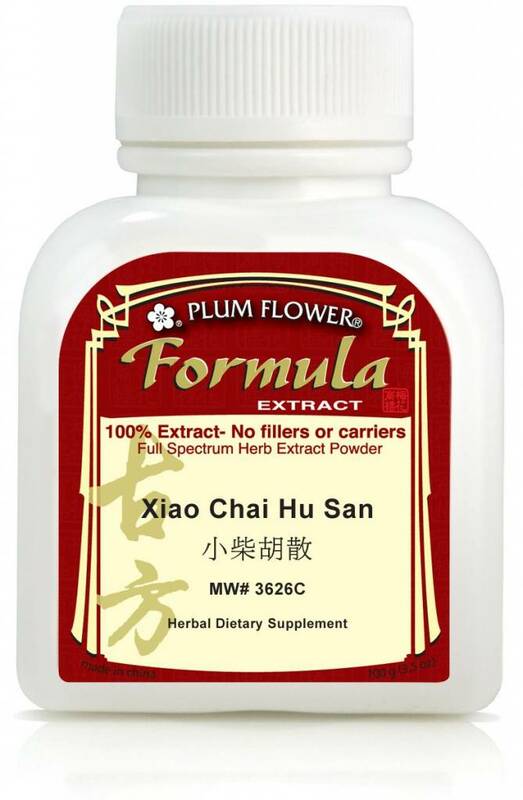 Xiao Chai Hu San (Bupleurum chinense root) extract powder. Ingredients: Bupleurum chinense root, Pinellia ternata rhizome, Codonopsis pilosula root, Scutellaria baicalensis root, Ziziphus jujuba fruit, Glycyrrhiza uralensis root, Zingiber officinale rhizome-fresh. Standard Dosage: 3 grams, 3 x day or 4-5 grams 2 x day.